What Is the Center for Integral Wisdom? Read this Welcome by Dr. Marc Gafni (transcribed and edited by Joe Perez) or watch the video below. 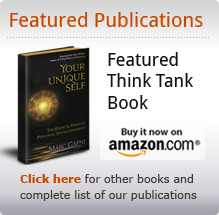 The Center for Integral Wisdom is an Activist Think Tank. It is a group of people who think about the structure of the way things work and how we can make it better. We are engaging the deep structural issues that affect how society works, how love flows, how compassion unfolds, the way politics unfolds, the way economics are structured. We are inspiring action. At CIW, we may be the only think tank of this kind in the world today. Actually the essential source code issues – how to create a shared language of meaning and spirit in the world today – are peripheral in our society today. It’s left to fringe conversation and never enters the mainstream to evolve the dialogue. We have started along with other visionary thinkers such as Ken Wilber along with our talented and dedicated faculty, our leadership team, and our Scholars. We are engaging these source code issues through three primary modalities. First, we have three places where we do teaching. We are hosted by the Shalom Mountain Retreat Center, a Wisdom School. We meet twice a year with a group of awesome participants, co-conspirators, going into a deep mode of “Dharma”, which means the best understanding of reality that we have today which can be validated by our first-person experience. We have a Mystery School in the summer in Holland and a mini-Wisdom School in February. 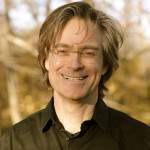 And Marc Gafni is a Scholar-in-Residence at a New Thought church where he teaches multiple times a year. 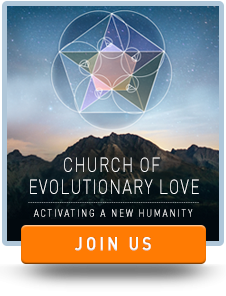 There is also an Evolutionary Tantra School in New York City, directed by Board Member Kristina Kincaid. We also teach at Esalen and other places around the world. And there are so-called Dharma Party Events just beginning to emerge all over the country. Second, we are writing a series of books and white papers which change and evolve the source code of consciousness in key areas of society. We are engaged in medicine, secondary school education, business, psychology and the recovery movement. We are developing a practice based on “outrageous acts of love.” We are spearheading the Digital Intimacy project, a success project, and coaching. We are evolving the meaning of enlightenment through the “democratization of enlightenment” teaching, entrepreneurship, spiritual practice, our understanding of the masculine and feminine. And on and on. Each one is a source code changing move, an engagement in the ongoing evolution of love. Third, we are offering tele-courses which have so far brought together 5,000 people. Welcome to CIW, an activist think-tank based on Integral principles seeking to evolve the source code of love.